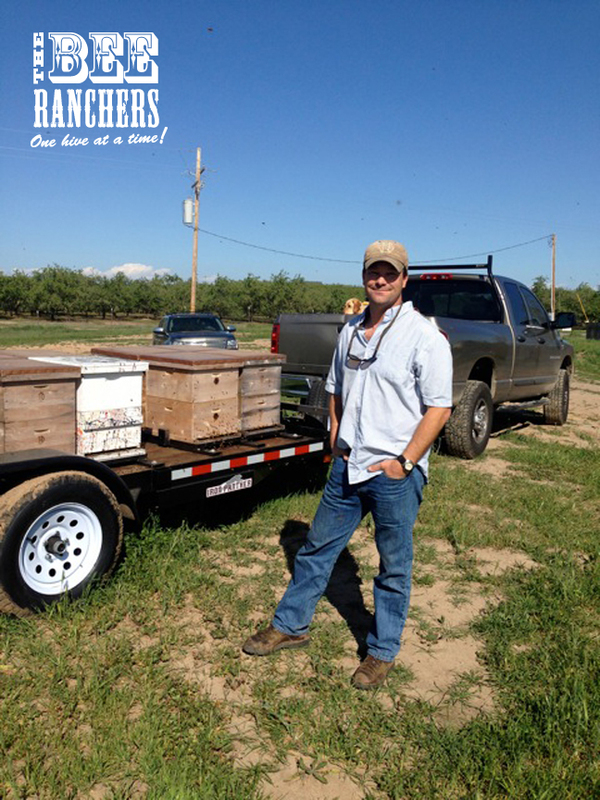 The Bee Ranchers concluded their 1st trip out to the almond pollination earlier this week and the whole experience worked out as planned. Each hive started with 8 frames of bees and all came back with 18-20 frames of bees, pollen and honey stores! I trailered the hives home Tuesday night, made some splits Wednesday morning and delivered the hives back to their true home Wednesday night to take advantage of the Bay Area spring nectar flow that is upon us. These hives are in much stronger shape to go after the spring nectar flow here in the Bay Area then the ones left behind. 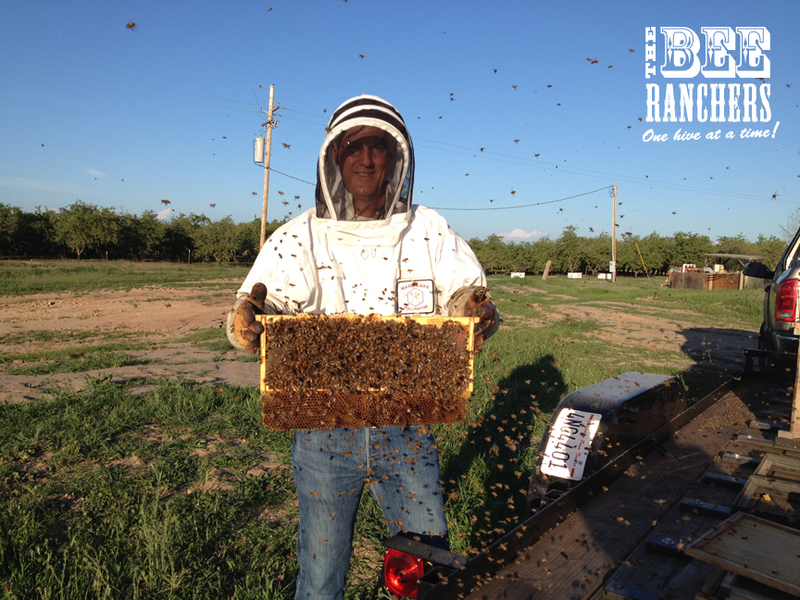 With a little luck, we might have some Bee Rancher spring honey for sale in a few months! I even had an old friend stop by and help out. I bet if you asked him 30 years ago when we first met that one day he would be helping me tend to my bees, he would have said not a chance. Well, fast forward 30 years and there he is, in the middle of 100’s of thousands of bees, helping me out. He was able to overcome his apprehension of bees and I was able to educate him about the importance of honeybees. It is nice to know that 1 more individual out there knows a little more about honey bees. As a beekeeper, I feel educating people to the best of my ability is one of my main responsibilities besides tending to the welfare of my bees. Enjoy the spring and pray for more rain! !